Rendition of CHI St. Joseph Children’s Health’s St. John Neumann School for Children and Families, anticipated to open in early 2020 at 401 Locust St. Columbia, Pennsylvania. The school has been designed by Steve Funk of Lefevre Funk Architects, located in Lancaster, Pennsylvania and Pyramid Construction, located in Wormleysburg, Pennsylvania, will serve as general contractor. CHI St. Joseph Children’s Health is proud to announce plans to open the St. John Neumann School for Children and Families in 2020. 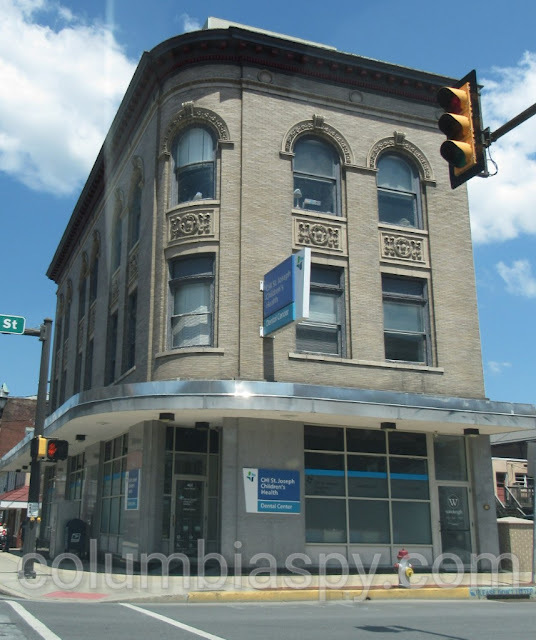 The new school will be located at 401 Locust St. Columbia, Pennsylvania and will serve children 6-weeks to 5-years-old. The launch of this new program is a continuation of the nonprofit’s mission to improve the health of children and families in the Lancaster community. The St. John Neumann School for Children and Families has been designed by Steve Funk of Lefevre Funk Architects, located in Lancaster, Pennsylvania and Pyramid Construction, located in Wormleysburg, Pennsylvania, will serve as general contractor. CHI St. Joseph Children’s Health estimates that the complete project, including the purchase and renovation of the building, will cost up to $6.45 million. An on-site family wellness coach to support the development of healthy family dynamics. A family wellness case manager who assists families in accessing support services and programs throughout the community, including but not limited to the CHI St. Joseph Children’s Health Dental Centers and Behavioral Health Center. Daily meals and snacks for children accessing the Center that are freshly prepared on-site from locally sourced fruits, vegetables and meats. A tuition discount program for residents of Columbia which makes childcare affordable through a sliding-fee discount determined by household income levels. The need for increased access to professional and affordable childcare in Columbia was initially brought to the attention of CHI St. Joseph Children’s Health from the advisory committee of Healthy Columbia – the organization’s community-driven initiative that is dedicated to providing and coordinating services and the investments necessary to create a thriving community in Columbia Borough. CHI St. Joseph Children’s Health estimates that more than 400 children and families may have a need for childcare and are unable to access the service in the Borough because of a lack of availability and additional barriers such as cost. 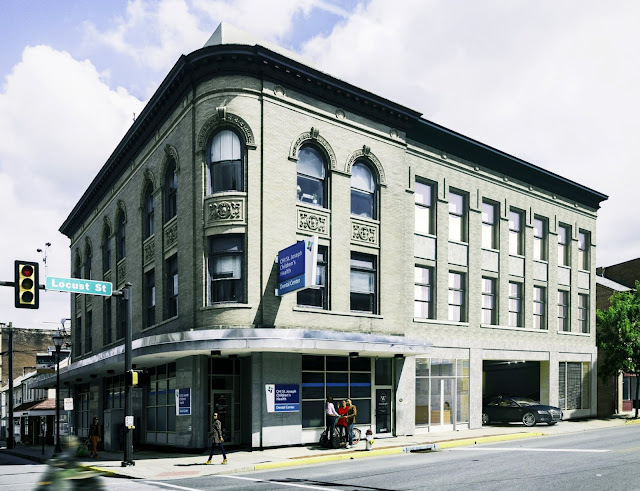 The school will be located in the same building as the existing CHI St. Joseph Children’s Health’s Columbia Dental Center, which currently is located on the first floor at 401 Locust St. Columbia, Pennsylvania. Although the Dental Center and the school will be located in the same building, each will have their unique entrances and will operate on distinct floors within the building. Renovations and construction on the building expansion are expected to begin in early 2019 and will not impact the Dental Center’s operation. The school is anticipated to open in early 2020. “The school will feel like a home and will offer support not just to the children who will be entrusted to our care, but also to their families as we work together to create strong, happy and healthy children and families in Columbia Borough and throughout the Lancaster community,” said Goropoulos. A location of Catholic Health Initiatives, CHI St. Joseph Children’s Health is a community-based organization dedicated to the health and well-being of children and families in the Lancaster community. The organization works in collaboration with community partners to assure access to appropriate, quality health services and benefits for every child in the Lancaster community. This mission in children’s health includes multiple efforts, programs and services committed to improving the health of children and families throughout the Lancaster community. To learn more about CHI St. Joseph Children’s Health, visitwww.CHIstjosephchildrenshealth.org. A community-driven initiative of CHI St. Joseph Children’s Health, Healthy Columbia is a public and private collaborative of individuals and organizations dedicated to providing and coordinating the services and the investments necessary to create a thriving community in Columbia Borough that values, prioritizes and improves the health and well-being of its residents. The activities and programs of Healthy Columbia address community needs negatively impacting the health and well-being of residents and the Borough. Healthy Columbia programming is designed to provide the opportunities and the supports necessary to create a healthy and thriving community. Heard that there will be a rooftop playground. Will the cell towers be the jungle gym? Oh geez! What a great question ... come on man! Someones wife is high up in this! Its all a sham!! How is it a sham just because someone's wife is high up in this? Please enlighten us as to why this makes it a sham. If this is being reported as something other than it is or it is bogus or false and not likely to be true ... let us know what you know that makes this a sham. Has the building NOT been purchased by St. Joseph's health? Is it not going to be used for the stated purpose but instead going to be some clandestine business, money laundering site etc. What is it about this project that is a sham??? Please explain since you made that statement back it up with facts. Do middle class families also not need child care they can afford? I guess you could see it like that but in the long run it should assist in these families and children in becoming less dependent as the have a solid foundation. This will allow the families to work and not have to worry about the large fee for daycare. Even if you have a salary of $60K GROSS a year with mortgage or rent, utilities, food and other essentials an additional $1,000 - $1500 a month for daycare can be devastating. Columbia's demographics support for the need for this. Although, a sign of a poorer community it is also a sign of love, concern and strength. God bless our community, the families with in and God Bless America too!!!! Has this been approved by the Borough? Other than perhaps an occupancy permit, what would the Borough have to approve. It seems as if it is an appropriate use for the zoning in that area. well i think this is awesome news. Thank you. the boro must create a program for rental properties to be sold and turned back into home owned taxpaying homes. THAT'S the BIGGEST problem in town. there are MORE than 800 rental properties in this small land locked town which houses a huge percentage of poverty level tenants, renters, even homeowners. OH rentals don't pay taxes ? get your story straight.